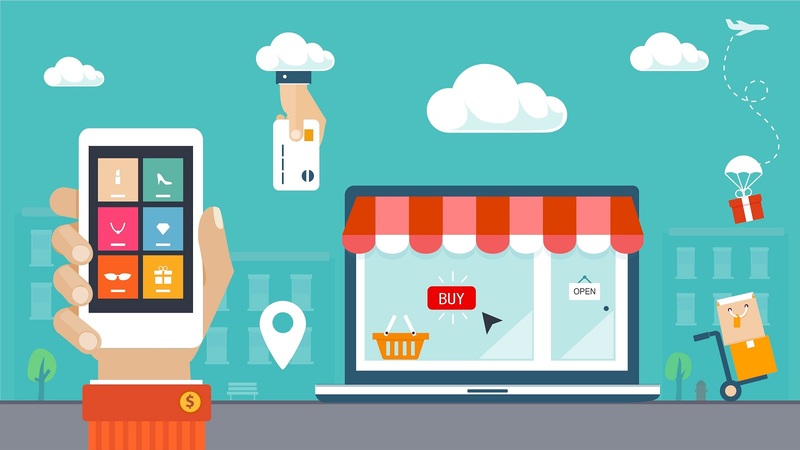 Processing Payments Just Got Easier! 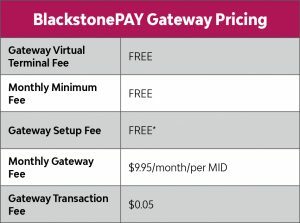 Introducing the enhanced BlackstonePAY Gateway. 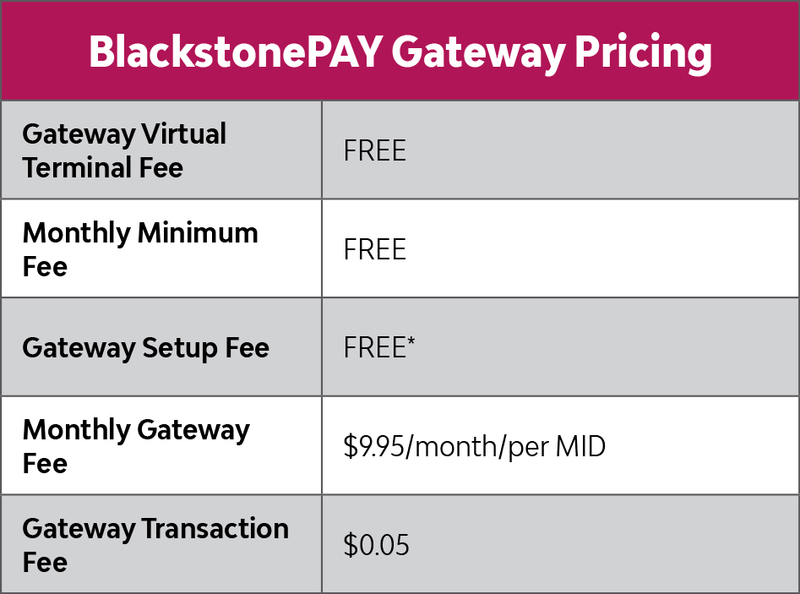 Our secure payment gateway has been improved to meet all your needs. The new feature we have included will allow you to run your business more efficiently with an executive dashboard, improved transaction types, enhanced reporting and new fraud detection features. *Custom integrations require a separate quote. **Optional credit card processing program available for as low as Interchange plus 0.25% and $0.20. ***Optional check by web processing program available for 1.99% and 0.20 per transaction. Other processing fees and separate applications are needed for credit and check processing services. 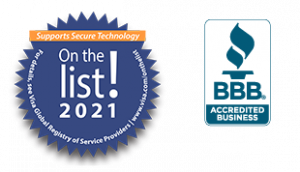 © 2018 Blackstone Merchant Services, Inc. is a registered ISO of Deutsche Bank AG, New York, NY. Blackstone Merchant Services, Inc. is a registered ISO of Wells Fargo Bank, N.A., Concord, CA. All other trademarks, service marks and trade names referenced in this material are the property of their respective owners.